Slime Time makes and sells a wide variety of borax free slime for kids. Slime Time makes and sells a wide variety of borax free slime for kids. My name is Audrey Miller and I'm going to be a 7th grader at Pacific Crest Middle School this fall. I've been making slime for over 2 years perfecting the recipe. 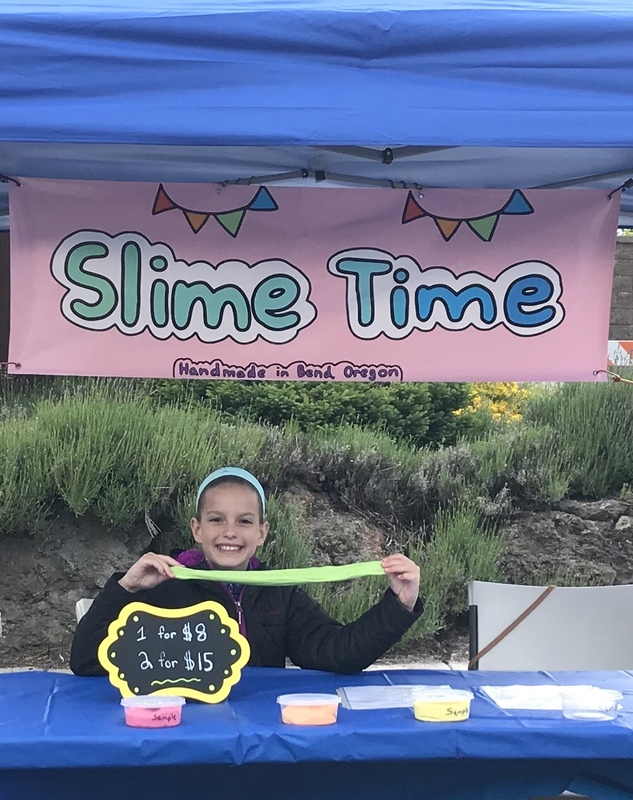 I began selling slime in our neighborhood park last summer and then established the Slime Time booth at the NWX Farmer's Market. My slime comes in a variety of colors and scents that appeal to both boys and girls and sometimes even adults!